Dark comedy thriller Two Down is a new acclaimed feature from Fizz and Ginger Films, involving Executive Producers Stephen Fry and Derek Jacobi, with cameras and post from ONSIGHT. It tells the story of a hit man in London, inspired by films of the 1970s, revealing deception and unlikely friendships in his final hours. Co-Produced by The Fyzz Facility and Aviron pictures, directed by Johannes Roberts (“47 Meters Down”) and written by Bertino and Ben Ketai.“The Strangers: Prey at Night” tells the story of a family’s road trip which takes a dangerous turn when they arrive at a secluded mobile home park to stay with some relatives and find it mysteriously deserted. Except for three masked psychopaths who pay them a visit to test the family’s every limit as they struggle to survive. OnSight are delighted to work alongside The Fyzz Facility producers: James Harris, Wayne Marc Godfrey, Mark Lane, Robert Jones and Ryan Kavanaugh. Also the Director Johannes Roberts and Editor Martin Brinkler who offline edited in house at onsight. With our senior colourist, Andy Lee and sound supervisor Andy Coles providing their creative expertise on the film Onsight provided full Post Production on the upcoming Feature. ‘Strangers Prey at Night’ Starring Christina Hendricks, Martin Henderson, Bailee Madison and Lewis Pullman opens March 9th. Viking Destiny is a Misfits Entertainment film, produced by Andee Ryder, and it will be delivered to international sales agent Film Mode Entertainment. Writer and Director David L.G. Hughes works wonders exploring the lives and legendary crusades of Scandinavian explorers. The story is centered on the Viking kingdom’s rightful heir, a young Norse girl, who is banished after being framed for the murder of her father, the king. She then travels the world with Odin to reclaim the throne. Onsight is delighted to provide full post services for the upcoming action film, featuring Terence Stamp as the Norse god of war and wisdom. Our senior colourist Andy Lee and sound supervisor Andy Coles are providing their creative expertise on the film. Narrated by Robert Redford, the G rated film is a jaw-dropping adventure around the world. The film goes through all aspects of life over the course of a single day, following the journey of various kind of living creatures. The aesthetically appealing, big-hearted nature plot line is perfect for family viewing. 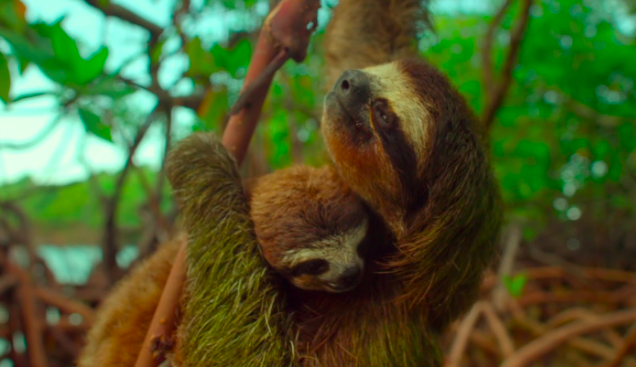 Created by over 100 film masterminds, with harmonized orchestral accompaniment, Earth: One Amazing Day gives us access to natural phenomenon we'd never seen before, reaffirming just how lucky we are to share this place with all of Earth's inhabitants. 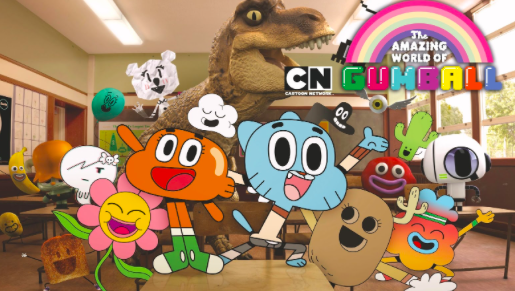 Cartoon Network’s British-American animated TV sitcom The Amazing World of Gumball secured two nominations for the 2017 British Academy Children’s Awards. The show is nominated for best writing and animation. The ceremony will take place at the London Roundhouse on Sunday, Nov. 26. Since its initial release in 2011, Gumball has garnered exceptional ratings and recognitions. Full of quirky characters, Gumball’s world is a place where children’s wildest imaginations will likely come to life. The unique characters in the series are sure to garner some chuckles. One unique feature of the series is its lack of stylistic unity. Characters are designed, filmed, and animated using multiple styles and techniques.